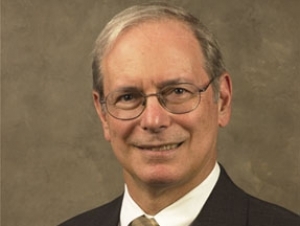 The State University of New York Board of Trustees has appointed Howard Cohen, Ph.D., interim president of SUNY Buffalo State. Cohen is chancellor emeritus at Purdue University Calumet in Hammond, Indiana, where he served as chancellor from 2001 to 2011. His appointment as interim president at Buffalo State is effective August 1, 2013, and will continue while President Aaron Podolefsky is on sick leave. Cohen will receive an annual salary of $225,000. Cohen, who holds the title of professor of philosophy at Purdue Calumet, earned his undergraduate degree in philosophy from the University of Minnesota, and his master’s and doctoral degrees in philosophy from Harvard University. A champion of regional colleges and universities, Cohen led Purdue Calumet during a 10-year period marked by record enrollment, an innovative experiential learning initiative, strategies to advance student success, and new outreach efforts by the university to advance the Northwest Indiana economy. Before his appointment as chancellor at Purdue Calumet, Cohen was the provost and vice chancellor for academic affairs at the University of Wisconsin-Green Bay between 1995 and 2001. From 1991 to 1995, he held administrative posts at the University of Wisconsin-Parkside, serving as dean of the School of Liberal Arts from 1991 to 1993, and interim provost/vice chancellor for academic affairs from 1993 to 1995. Cohen began his academic career at the University of Massachusetts-Boston in 1970 and spent more than 20 years at the institution, starting as an assistant professor before rising to roles as department chair, director of the law and justice program, associate dean, and associate provost. Cohen and his wife, Patricia, have two children. Buffalo State, a State University of New York (SUNY) campus located in Buffalo’s Elmwood Village, offers degrees in the arts, education, the sciences, and professional studies. Each year, more than 11,000 students choose Buffalo State for its broad array of high-quality and distinctive academic programs, diverse and creative environment, hands-on learning opportunities, affordable SUNY tuition and location in the heart of Buffalo’s cultural corridor.